MOBILE SCHUL ARRIVES AT KIBBUTZ ELON, FIRST SCHUL IN 80 YEARS! This Secular Moshav formerly a Kibbutz, is located in the middle of one of the largest Arab cities, between Hadera and Afula, known as “Um el Fahem.” In fact, because of the location, members’ lives are stake every minute! In the 1970’s the Kibbutz disbanded temporarily. The neighboring Arabs destroyed their homes and burned their fields! A.H. has been working with there for the past ten years. They now have a small Schul. More recently, they asked for Mezuzot to be placed on their communal buildings. A.H. together with a Sofer (Scribe) presented a special program explaining the significance of a Mezuza and of a Sefer Torah. Both adults and children attended and participated listening and watching as we placed tens of Mezuzot on buildings throughout the Moshav. Mazal Tov to Meh Ami on taking this big step! May we continue to grow and go from strength to strength! 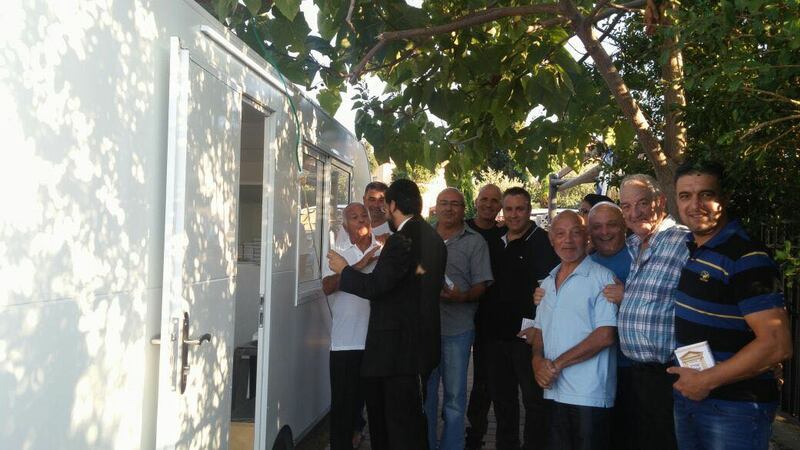 Pelephone employees located at the headquarters in Givatayim wanted a the Sefer Torah, and a place to Daven. The administration was not keen on this idea. But, through their persistence, they secured a small room where they now daven. AH donated the Sefer Torah on three conditions: (1) they read from it every Monday and Thursday; (2) the employees of a large insurance company located in the next building be permitted to daven with the Pelephone employees, and (3) every employee at Pelephone (1,000 of them) be invited to attend. Men would be given Aliyot and women, a misheberach. Now they also started a minyan at 8:00 a.m. to allow employees who live far away to daven Shachrit! 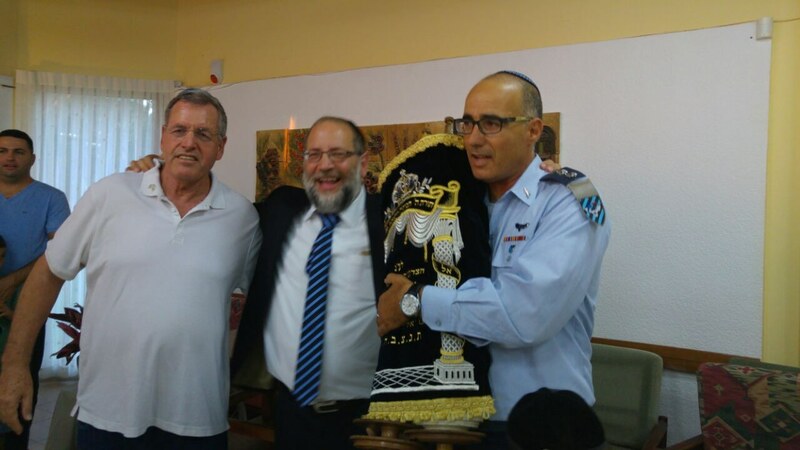 On Rosh Chodesh Tammuz, 5776, 7-July 2016, we opened the schul and dedicated the Sefer Torah. During the dedication, we held Bar Mitzvahs for members who had never celebrated their own Bar Mitzvah at the age of 13! This was the first time in 75-80 years that such an event happened on the Kibbutz located near Har Tavor. The Mayor of Jezreel Valley attended. Rav Raanan said “it’s the first time in my life that ladies were escorting the Sefer Torah and were sobbing openly, completely overcome by emotion!” Rav Raanan invites you to stop by the Kibbutz when you are in Israel to daven there! Although there are no weekday minyanim yet, IY”H there will be soon!